It is a fact that today the form of war is different from that of the Napoleonic era. Just compare the conduct of the Battle of Fallujah to that of the Battle of Austerlitz. What is disputed, however, is whether this is a consequence of a changing nature of war. This debate often emerges from Carl von Clausewitz’s distinction between war’s nature and character. Unfortunately, this polarization leads to a semantic slugfest: defining and redefining words such as violence or politics in the vain hope that turning to Webster, rather than back to Clausewitz, will resolve the issue. What is actually at stake is something far more essential than merely the—or even a—definition of war. 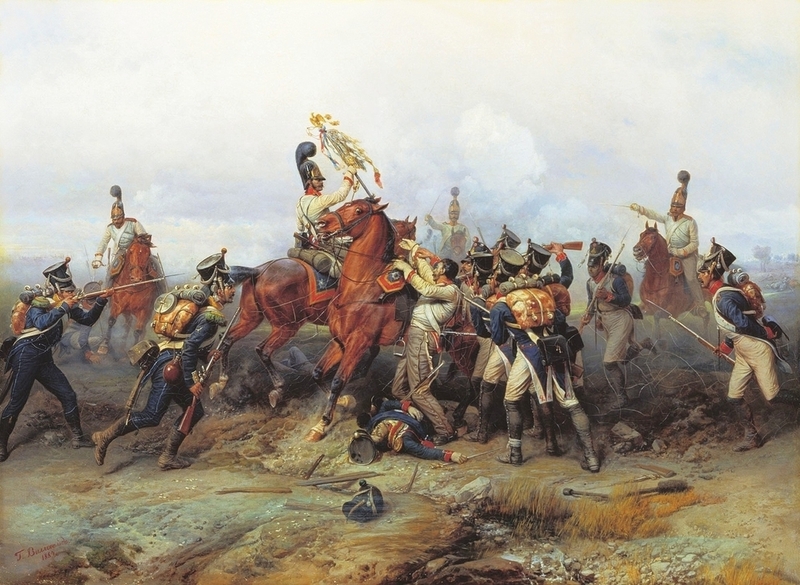 Ultimately, the question—whether the nature of war is immutable—boils down to doubts about Clausewitz’s theoretical legitimacy. Thus, to address concerns about the ontological status of war, and thereby Clausewitz’s preeminence, we must instead ask: does Clausewitz provide a framework with which we should consider today’s wars, or for that matter any war? To judge the value of Clausewitz’s framework, we must begin by examining his definition of war. The success of any definition of war is based on how well it discriminates between events of war from events of not war. Here, Clausewitz posits, “War therefore is an act of violence intended to compel our opponent to fulfill our will.” His premise suggests that war fundamentally requires an interactive combination of violence and politics employed instrumentally. This is war’s nature, war’s constant. With it, we can identify the Battle of Fallujah as an event within the (Second) Iraq War, and the Battle of Austerlitz as an event within the Napoleonic Wars; and, moreover, connect the Iraq War and the Napoleonic Wars as manifestations of the greater concept of capital-W War. The variable of war is how war’s nature (violent, political, and interactive) presents in reality. Although a function of the nature of war, war’s character is chiefly dependent upon how the interplay of the Clausewitzian trinity—passion, reason, and chance—unfolds in the context of the era. This is why the conduct of the Battle of Austerlitz differs from that of the Battle of Fallujah. Yet, the question remains, ought we consider war this way? But that’s the beauty of Clausewitz. While Brooks is correct to recognize that there are many ways to understand the terms violence, politics, and interactive, what matters is the rightness or wrongness of considering these terms in specific ways. And that’s just the point. We value conceiving of violence and politics in certain ways such that we are able to create meaning that translates throughout our society, and transcends (strategic) cultures. Therefore, this leads us back to our other initial question about whether we should think of war as Clausewitz does. To understand this distinction, I turn to pluralism. Catherine Elgin’s “The Relativity of Fact and the Objectivity of Value” takes as its main point that “the demarcation of facts rests squarely on considerations of value; and evaluations are infused with considerations of fact. So factual judgments are not objective unless value judgments are; and value judgments are not relative unless factual judgments are.” A ‘value’ is a framework with which to evaluate the world, while a ‘fact’ is a description of the world. Fusing this with Clausewitz, we find that his theory of war is a value since it presents us with a way to evaluate the world producing its own facts. It enables us to label instances of war as separate and distinct from events that are not war. When values are held constant, Elgin argues, like when Clausewitzians accept Clausewitz’s theory of war, the resulting description of the world, the facts, which the theory reveals, can be considered objective. Remember that Brooks glazed over the possibility that some definitions could be right while others could be wrong, but this is just Elgin’s point. What is right or wrong depends on the value system from which we judge; the answer derives itself directly from the values we want to uphold, which in our case is Clausewitz’s premise of war: war’s nature. In answer to our initial question of whether the nature of war can change, it follows that only we can change what we consider to be the nature of war. Alas, this seems to reinforce Brooks’ point that Clausewitz’s theory is flexible to the point that, by altering various definitions, or, in this case, values, we can permit all manner of action as war. This is not so, because, even with the amount of systematic flexibility (pluralism) Elgin permits, she warns that “even though we construct the categories that fix the facts, we cannot construct whatever we want.” Just because Clausewitz’s theory, held as an objective value, fixes various facts about what is or is not war, it does not mean, as Brooks intimates, that any other construction of what is war is permissible. While we might believe Clausewitz’s theory of war is right (or better), there is no authority that prevents others from conceiving of war in any other way. Elgin alleviates this worry, since “acceptability of any particular scheme depends on the truths it enables us to state, the methods it permits us to employ, the project it furthers, and the values it promotes. Together, these constitute a system of thought.” We accept Clausewitz and employ his theory because it provides us with a value scheme that finds truths;’ helps us judge actions according to the trinity of passion, reason, and chance; and, moreover, enables us to locate conflict within a larger context: politics. War, Clausewitz writes, “has certainly a grammar of its own, but its logic is not peculiar to itself.” Although, it is possible to accept the logic, the context of politics, while denying the grammar, we cannot switch until we have found another better system of thought. Moreover, we should be questioning, not the facts Clausewitz’s theory generates, the semantics of violent means or political ends, but the acceptability of the system as a whole: choosing Clausewitz’s grammar as opposed to another’s. In order to deviate from one value system to another, there must be something to which we can change. Rarely can we just give up values without replacing them or their function within the system. If we are to destroy Clausewitz’s system of thought, we must not only have good reason to, but also there must be something better, that explains more, and more truthfully or righteously. It is not tenable to deny Clausewitz’s theory, like Brooks, without presenting another more viable alternative. We must, however, be kind to Brooks, since she is right that current circumstances—like cyberspace or autonomous weapons—make holding Clausewitz’s theory even more difficult. Fortunately, Elgin has an answer. The considered judgments that tether today’s theory are the fruits of yesterday’s theorizing. They are not held true come what may, but accorded a degree of initial credibility because previous inquiry sanctioned them. They are not irrevisable, but they are our current best guesses about the matter at hand. So they possess a certain inertia. We need a good reason to give them up. Do we have such reasons? Should we shove our trusty On War off the shelf? Today, we face difficulties understanding the conduct of war because we are faced with major changes in the global landscape with emerging technologies, techniques, and procedures. Fortunately, Clausewitzian logic has not changed. Moreover, many still believe—we value—that Clausewitz provides the best system of thought with which to process various interactive violent and political actions. Clausewitz recognizes that such facts might come along and trouble what is considered to be within the realm of the conduct of war. He notes, “The necessity of fighting very soon led men to special inventions to turn the advantage in it in their own favor: in consequence of these the mode of fighting has undergone great alterations.” Despite those changes, Clausewitz maintains, “in whatever way it is conducted its conception remains unaltered, and fighting is that which constitutes War.” What matters, now, more than ever, is translating the underlying fighting to the modern political context; understanding the necessary deviations of character, while holding onto the (Clausewitzian) premise of war. The reality is that we value considering war in a certain way: the Clausewitzian way. Even though the cyber domain or autonomous weapons might shake up debate, the foundation of Clausewitz’s system remains intact. Changes in facts might change the character of war, but Clausewitz saw this as a consequence of its instrumental relationship to politics and accounted for such fluctuations. Such instances just make war more dissimilar to war of before: the difference between the Battle of Fallujah and the Battle of Austerlitz from whatever the future holds, perhaps a conflict like that depicted in Ghost Fleet. Additionally, using Elgin, we verified that arguments concluding that the nature of war is variable stem from semantic confusion rather than a real rejection of Clausewitz. The reality is that we value considering war in a certain way: the Clausewitzian way. Just like other values, people can disagree, but they should recognize that they are disagreeing based on value and not fact. Brooks is correct in stating,“Arguments about the definition of war are always, in some sense, efforts to shape, constrain, or channel violence and power,” but this makes it all the more important to consider whether we should think of the nature of war as Clausewitz does. To which I answer, most definitively, yes, because if not Clausewitz, then whom? Carl von Clausewitz, On War, trans. By Colonel J. J. Graham (New York: Barnes and Noble Inc., 2004): 3. [Italics original]. As to whether this is a ‘truth’ akin to the metaphysical existence of numbers, I demure. Brooks, Rosa. ‘Fighting Words: Has the nature of ‘war’ changed since the days of Clausewitz?’ Foreign Policy, 4 February 2014. http://www.foreignpolicy.com/articles/2014/02/04/fighting_words_future_war_clausewitz. She forgets ‘interactive’, which, for the cyber debate that incited her post, is crucial. See Thomas Rid’s Cyber War Will Not Take Place. Ibid. Catherine Elgin, "The Relativity of Fact and the Objectivity of Value," The Harvard Review of Philosophy, Spring 1996, 4. See Thomas Kuhn’s The Structure of Scientific Revolutions for how old paradigms are replaced by new ones, particularly how change can occur just through the death of the old theorists.